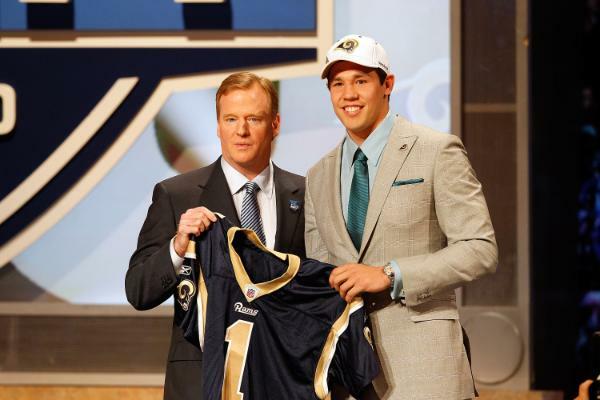 So exactly is the fuss about the 75th NFL Draft? Well for one, this is where teams are able to grab talent to build their team and hopefully compete. There are many unknowns to what a player is actually capable of and teams take giant risks to hopefully find something that fits for them. Denver Broncos taking Tim Tebow as the 25th overall pick was a surprise to many just for the fact he's not a typical NFL quarterback. Every team ranks the entire pool of players on overall best talent and then their own position needs. So sometimes teams will reach for players regardless if there position needs to fill. The Denver Broncos were looking at that point for overall talent. All of the teams here made a list. This is exactly what I want to drive home. make an opportunity list. You see just like in your network marketing opportunity you need to treat it like these NFL teams. You need to be prospecting to the BEST. Too many of you that I mentor want to take the easy road and just sponsor down. You need to sponsor up! This is exactly why you make a list. Sure you will want to put the biggest lay downs first because you want to get your business going but your list can't be of just easy lay downs. For my opportunity you want to sponsor 2 of the easiest first then help them sponsor their 2 easiest first. This way you don't even touch your entire list. It's not about how fast you blow through your list but that you hit the first 2 sponsors then help those to make their 2. In network marketing you make no real money until you start helping people in your team. Think of your team first and you will reap the benefits 10 fold. Depending on your companies compensation plan this course of action will vary but the same principle generally applies. Once you get your first team going and hopefully promote if your company's compensation plan allows it, then you go back to your list and do it again. Once you move through your lay downs on your list you will then want to prospect up. See, NFL teams want the best. If they can't get the prospect they wanted they move on to the next best available player or position specific talent. In the end, it's always what they feel is the best. You will not see NFL teams wasting their time on draft day looking for players who were borderline college players because they knew they would be easy to sign up. Sure, signing up a hot college player can be a headache due to personality conflict and salary negotiations. The best talent want the best pay out. So do you present the best payout and opportunity for your top talent to achieve their goals? Can your team and MLM opportunity really give your top prospect what they want, money? You need to move through your list from top down. Do not go about building a business avoiding your top talent in your sphere of influence. That would be a major mistake in building a strong team just like it would be for a NFL franchise. Look for the best talent that could make an immediate impact or those you feel have the best potential in general. Work your list which should easily be over 100 people. If your going about it in steps of 2, or depending on how your mlm company's compensation plan is setup, your not running through the list over a weekend. This list scrubbing could take months if your approaching your list carefully. Remember you are in sales. Sell your team and opportunity to helping your prospect understand what they are getting. Just like in the NFL, if they don't get the player they wanted you don't see them crying. Okay, some ball clubs do. Generally you won't see NFL coaches and management cry over not recruiting a top talent. They understand they have a list to go through and the clock is ticking. A dynasty isn't built over night. Build a team from the ground up and invest time into your team members. This is your new family, take care of them. So what do you do after your list is running out? Sign into my internet lead generation training newsletter on the right and learn how I generated over 1500 plus leads in Feb 2010 working part time.